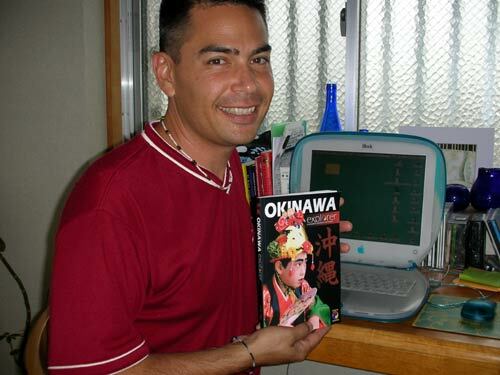 A new guidebook called the “Okinawa Explorer” has hit the shelves. It is the end result of a six-year project by author Kenny Ehman, who is a thirteen-year resident of Okinawa. With the help of his sister and brother-in-law, Kim and Tim Streaty, the trio designed and self-published a helpful guide for foreign tourists coming to Okinawa. Unlike past books written about Okinawa, which focused only on specific topics, the Okinawa Explorer covers everything from A to Z in an easy-to-understand format. There are listings for accommodations, food, historical and cultural sites, beaches, outdoor recreation, traditional festivals, and much more. This guidebook not only tells the reader what there is to do on the island but it also explains how to get there with plenty of helpful maps. Foreign residents who have lived on Okinawa for a long time will also find the Okinawa Explorer to be a valuable source of information. The book showcases quite a number of “off-the-beaten trail” places that most locals don’t even know about, and the explanations on customs and traditions are told with just the right amount of historical facts mixed with colorful folktales that have been handed down from generation to generation.